South Africa’s phenomenal golf is reason enough for a visit. The game’s rich history and impressive new construction provides an abundant selection of outstanding layouts. Then, when you add a safari, plus Cape Town and the Cape Winelands, plus the Garden Route, perhaps Sun City Resort, the experience proves to be truly one of the most eventful – and exotic – golf and travel experiences imaginable. A bucket-list adventure for travelers of all ages! Click to view NEW UPDATE! Our trip to South Africa was principally to let our nine year old son enjoy a safari and all the fun and experiences which come with it. With school approval, we have taken him out of school for 2 weeks around the Thanksgiving break creating a three week journey. The trip is starting in Cape Town and then meandering along the Garden Route, culminating to the north of Port Elizabeth for a four day safari. Getting to South Africa in many respects, time-wise is similar to a trip to Asia. We flex on the day flight, (British Airways) Boston to London, with a 90 minute same terminal connection (T5) at Heathrow (LHR) then onwards to South Africa. The second flight was approximately 12 hours and given that there is only a 2 hour time change between the UK and South Africa it is truly an overnight flight, with time to eat and sleep! 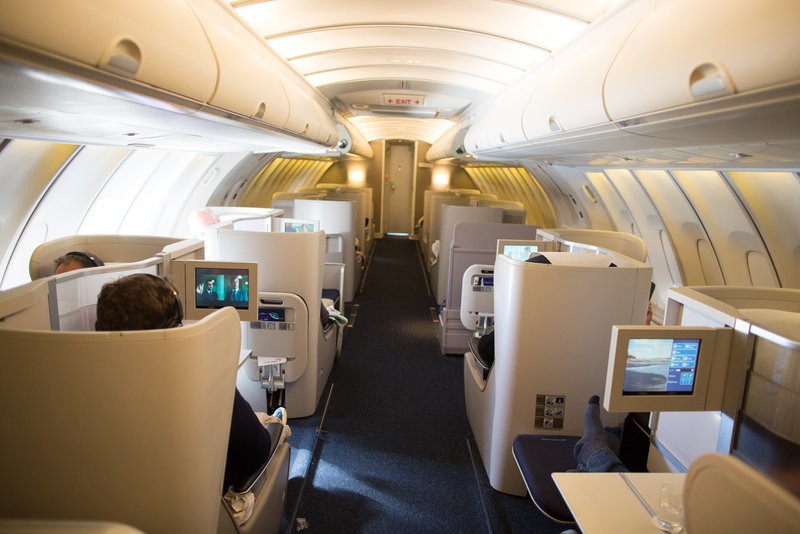 This flight also reaffirmed my view that the best seats on a long haul B747 flight are in the upper deck where you can enjoy a smaller, intimate, restful cabin. I had visited Cape Town 20+ years ago and it was a fairly provincial port city. The change has been remarkable. Where we are currently staying, at the Victoria & Alfred Waterfront, it feels like a hybrid between the Baltimore Inner Harbor on steroids and San Diego. This is a very cosmopolitan city, with accents and tongues from around the globe. 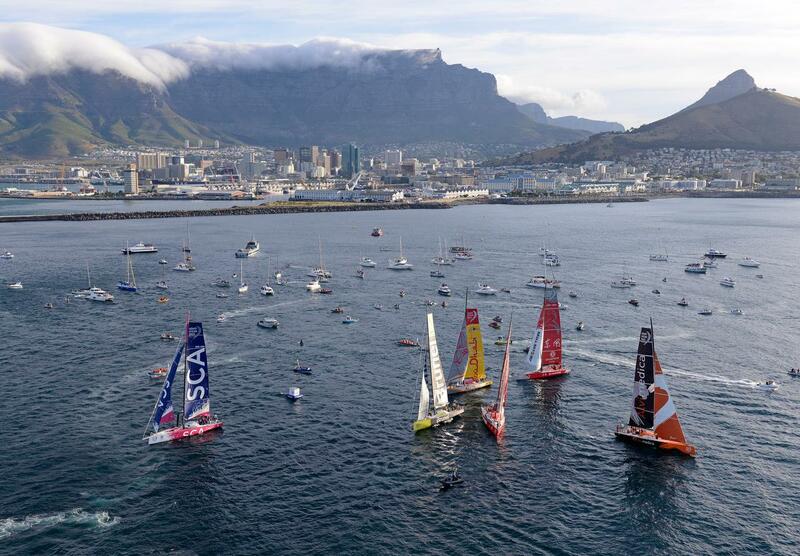 To add even more color on top of an already interesting mix, the Second stage of the Round the World Yacht Race (to Abu Dhabi) started last night at 6pm just after we arrived. We have much to look forward to this week – stay tuned! …indeed the list of activities is far longer. 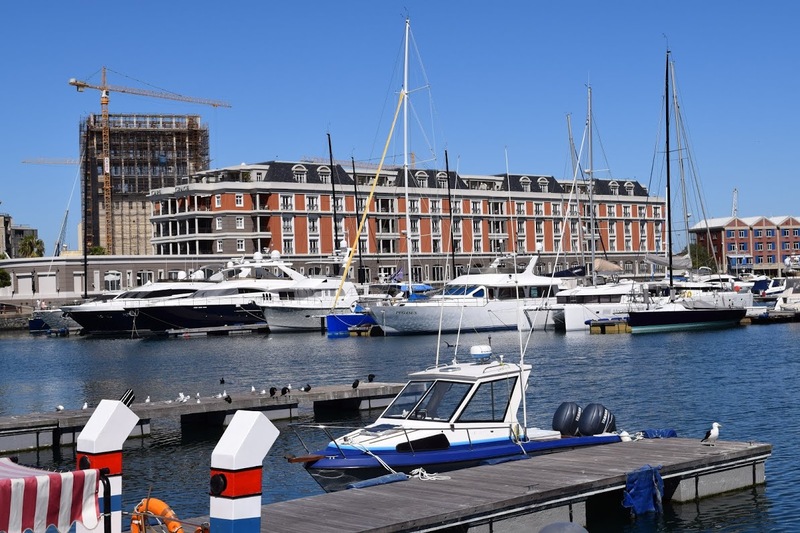 The Victoria & Alfred Waterfront development in Cape Town is a wonderful, bustling and vibrant addition to the “scene”. The development dates back to 1988 and offers a tremendous amount of history. Cape Town is also a rapidly growing city with some very noticeable construction underway. Having said that, all of the finished development is generally done in exceptionally good taste. I have no reason to believe that will not continue into the future. An example of a fun, enjoyable shopping experience is the recently redeveloped area named, the “Water Shed” which serves host to a plethora of local artists and the wares. It is exceptionally well done. Royal Cape is the oldest golf club in Africa (1895). It has hosted the South African Open no less than ten times and the SA Amateur Championships no less than eight times. Essentially it is a very flat parkland course. It is always well maintained and a pleasure to play, with lovely views of the surrounding mountains. Don’t be deceived by its apparent easiness – the fairways are narrow, demanding extreme accuracy off the tee, wayward shots can be heavily penalized amongst the trees, and the greens are well bunkered, especially in the prominent South-Westerly wind, locally referred to as the Cape Doctor. Arabella Golf Course is perfectly designed to exploit is unique position alongside the largest natural lagoon in Southern Africa. The 8th, 9th, 17th and 18th holes run parallel to the lagoon, proving a truly memorable experience. Choosing a signature hole proves to be an extremely difficult task as all of the holes are well designed with spectacular views. This Gary Player designed championship golf course has fast become renowned throughout the golfing world. Situated on the slopes of the Helderberg Mountains, few courses can compete with the views offered by Erinvale. A tough, yet flat front nine prepares golfers for the hilly back nine where the course really livens up. Huge bent grass greens and bunkers that only Player could think of are hallmarks of this course. Steenberg Golf Club is an 18 hole championship course designed by Peter Matkovich which offers a backdrop of vineyards, gardens, forests and mountains provides the setting for this beautiful exclusive course. The course is always in excellent condition with bent grass greens and lush fairways. Steenberg offers you the opportunity of excellent golf within the historic setting of one of the Cape’s oldest wine farms. Dating back to 1682 the vineyards have been replanted and 140 acres are now under vines. I will write separately about the quality and diversity of the hotel experience, but suffice to say the quality of the food and wine is exceptional. Every meal has been tremendous with locally harvested fresh produce presented in a variety of creative manners. People in the hospitality sector of the world over are generally very gracious; however, there seems to be a particular intensity about their genuineness here in South Africa, which may well be a reflection on the history of the country and the isolation it endured for many years. We look forward to our next stop along the Garden Route, but we are sad to leave Cape Town. Now onwards to a more golf-centric portion of the trip. From the Winelands around Cape Town we flew to George and Fancourt, the best golf resort in South Africa. The resort is very pleasant, situated between the Outeniqua Mountains and the Indian Ocean. The accommodations are spread around the property and extremely comfortable. There are several dining options on site. We played the Montagu course which was very enjoyable and in excellent condition. The third course at Fancourt is The Links, host to the 2003 President’s Cup and the #1 ranked course in South Africa. Whilst attached to Fancourt, The Links is a private club with an exclusive membership. It does however permit limited visitor play to hotel guests and is definitely worth the effort to experience this fine course & service. For me, the resort felt quite (continental) European dropped into South Africa, very possibly because many of the guests sounded like European golfers. From there you are an easy 50 minute drive to Pinnacle Point, arguably the most dramatic course you will ever play. It is certainly in line with the Old Head in Ireland. From Fancourt we traveled another 75 minutes to the west, along the main coast highway to the charming town of Knysna. It has a nice collection of shopping, restaurants, sightseeing and importantly golf in close proximity. It is simply one of these places that just “feels” right. Golf in this area include Pezula and the Jack Nicklaus Signature layout at Simola. The Pezula Championship Golf Course is perched above the Indian Ocean and the Knysna lagoon. It is a sweeping spectacle of fairways and greens rolling through the pristine southern cape landscape. Flanked by indigenous forest, flora and unforgettable vistas, the course offers players both a challenging and rewarding golf experience requiring a full range of shots. Our stay at Kanonkop House was spectacular. This defines, small friendly hotel service. Owned and operated by the Conyers family the beautiful views are only overwhelmed by the friendly service from every member of staff. Knysna is a good base from which to access the rest of the Garden Route, including Plettenberg Bay and the amazing Tsitsikamma National Park. We traveled further west from Knysna past Port Elizabeth to the Lalibela Game Reserve. Covering approximately 14,000 acres it was perfect for our needs with a family. The staff and service was excellent. The accommodations are very good 4 star and I would not hesitate to recommend it to other travelers. We stayed three nights which permitted us to enjoy 6 game drives (each drive is approximately 4 hours long) in the early morning and late afternoon. We were able to see four of the Big 5 game and numerous other animals. 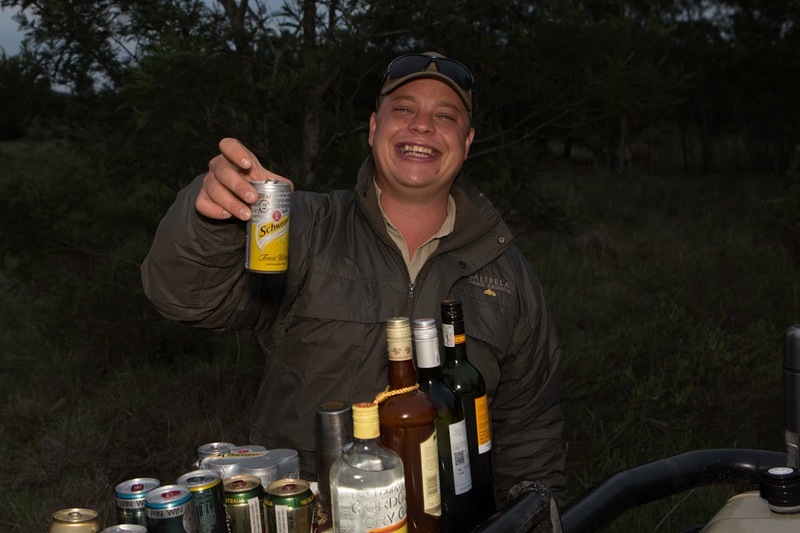 Each evening, towards the end of the drive, our guide, Craig would set up the bar on the front of the Land Cruiser and we would enjoy a drink in the magnificent, expansive African sunset. It was a terrific way to end a memorable trip. I hope you have enjoyed this recount of my family vacation to South Africa. 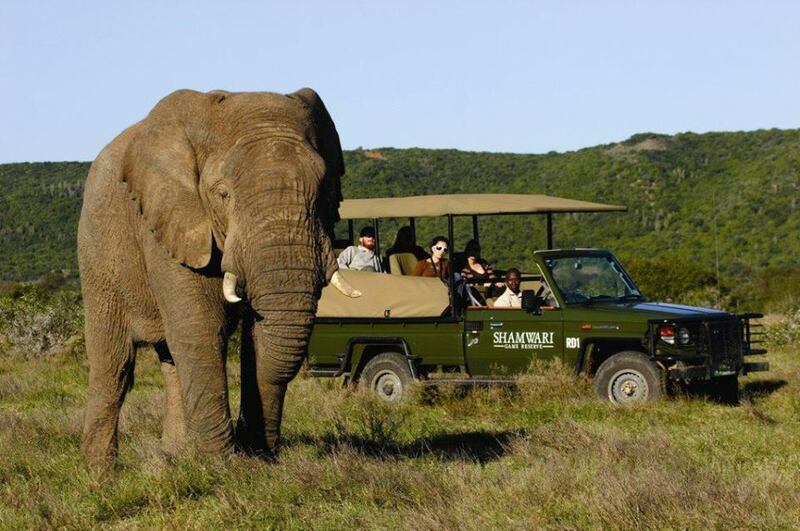 Please contact me should you have any questions in planning your own PerryGolf family vacation to South Africa. About the Publisher: Harrison Gould is the Social Media Marketing Manager of PerryGolf, a leading provider of international golf vacations. You can find him on Google+, LinkedIn, Twitter, Instagram , and Pinterest.